3 Minute Thesis Competition Winners! 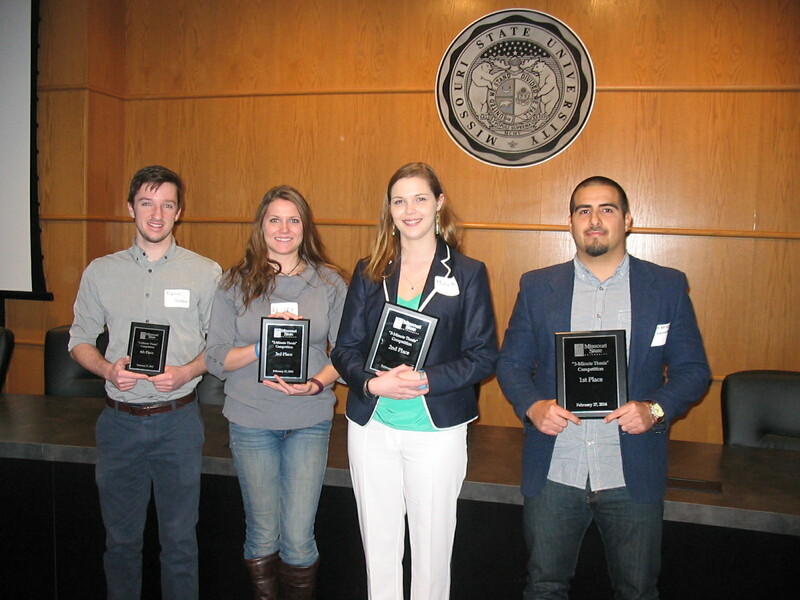 This past Saturday the Graduate College hosted the first 3 Minute Thesis Competition. We are proud to announce the winners: 1st Place - Erick Briggs "Do Family Relationships Affect Team Performance?" 2nd Place - Michelle Herridge "Student Identification of Problem Topics in General Chemistry" 3rd Place - Kelsey Anderson "Friends in low places: Responses of a benthic … [Read more...] about 3 Minute Thesis Competition Winners! Guest speaker, Dr. Larry Frey to present a Q&A session about grad school! Dr. Larry Frey, Professor and Associate Chair of Graduate Studies in the Department of Communication at the University of Colorado-Boulder will be on campus Feb. 25, 3:30-5:00pm, Craig Hall, Room 204 to give a special Q&A presentation about graduate school. 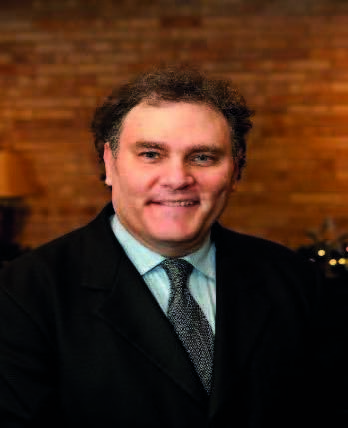 Dr. Frey will discuss application processes, and how to write letters and research statements. Undergraduate and … [Read more...] about Guest speaker, Dr. Larry Frey to present a Q&A session about grad school! Don’t miss out on COM Week 2016! 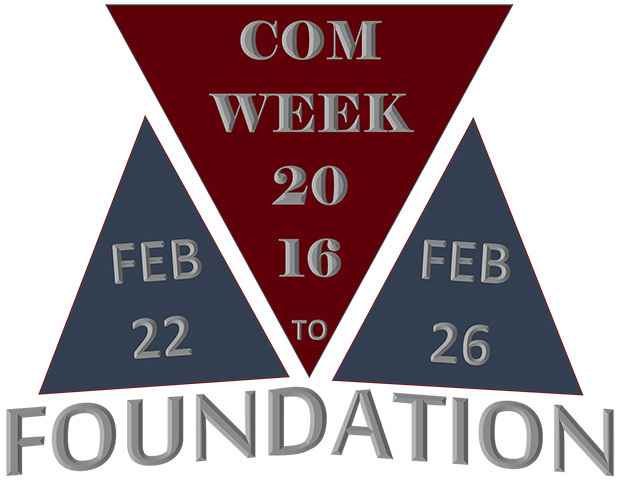 COM Week is Feb. 22-26, and is a great event hosted by MSU's Communication Department. This year's theme is "Foundation" and includes a line-up of guest speakers you won't want to miss! … [Read more...] about Don’t miss out on COM Week 2016! It’s never too early to plan for grad school! 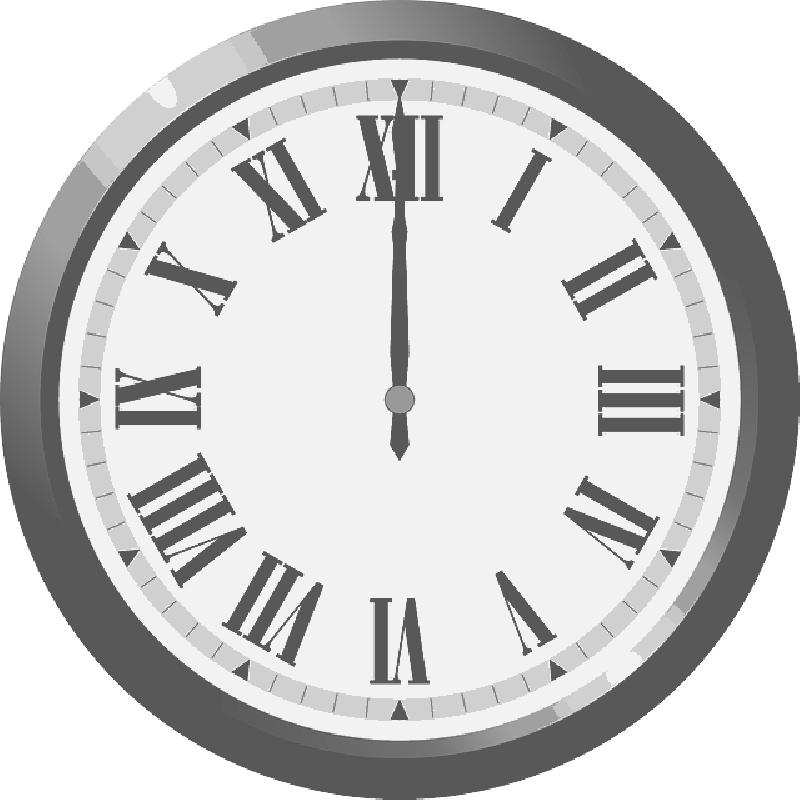 Whether you are a freshman, sophomore or upperclassman who is contemplating the idea of going to graduate school after earning your Bachelor’s degree, the time is always right to start researching, inquiring and planning ahead. Especially for the more competitive programs like Physical Therapy, Psychology and Communication Sciences & Disorders. The Graduate College at MSU … [Read more...] about It’s never too early to plan for grad school!